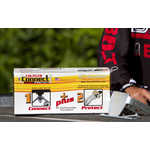 Coupler Connect™ plus Protect offers the same advantages as the Coupler Connect but also includes a separate hold down device that prevents the coupler from accidentally popping off the tow ball during travel. 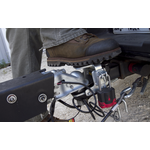 One mounting bracket, two complimentary accessories. 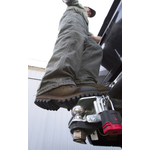 First, use the guide plate accessory to align the coupler directly over the tow ball for easy hookup. 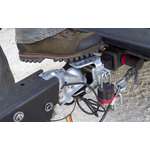 Then, remove the guide plate and insert the protective hold down accessory to help prevent the coupler from accidentally popping off the tow ball during travel. 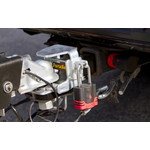 As an added benefit the plate can also be used to secure the trailer to the tow vehicle when a padlock is used. 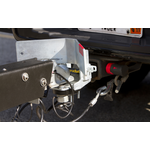 The ultimate in trailer hookup, safety, security and peace of mind for those that tow. 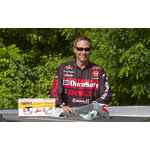 The Coupler Connect™ plus Protect helps you hookup your trailer and also prevent accidental trailer decoupling. 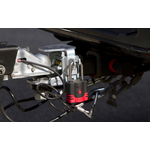 Add security by placing a lock in the spring pinhole to secure the trailer to the tow vehicle.